This site www.NaradaDesign.com contains a little information about myself and my work and links to my various projects. 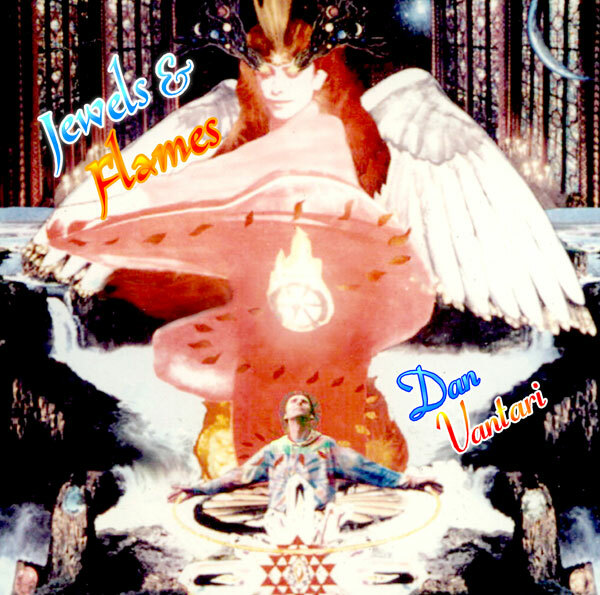 Currently it is also home to my album of original songs Jewels and Flames and my sacred geometry artwork called ‘the Universal Yoga Mandala’. 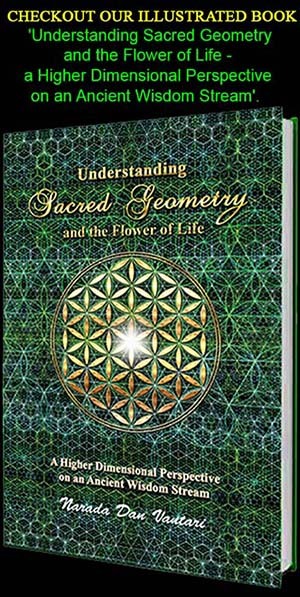 The book starts with some history of the venerable tradition of sacred geometry, and some basic patterns that it is good to be familiar with. 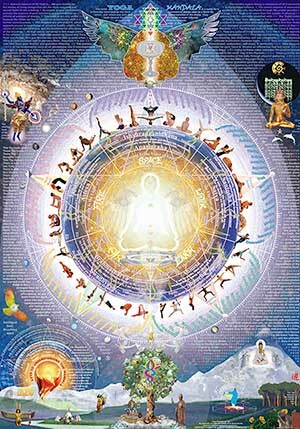 It then covers a wide range of subjects such as art, science, spirit, society, and perhaps the most technical information is the section on higher dimensional geometry. The real importance of the flower of life design is that it shows the fundamental symmetries of spacetime as the simplest possible two dimensional form. The triangular/hexagonal/circular pattern is not arbitrary, it is a demonstration of important principles. Buckminster Fuller used the term Isotropic Vector Matrix to refer to the same insights. He referred to the 3D cuboctahedron (which is the basis of the same symmetry groups in 3D), as the Vector Equilibrium. Understanding these two concepts is essential to many cutting edge theories of modern physics, as well as understanding the primary patterns that define the path of least resistance to the flow of energy at all scales. http://sacredgeometryweb.com Sacred Geometry Web is an information site, a discussion Forum, Multi-Author Blog, Video Library, and growing collection of articles about every aspect of Sacred Geometry. 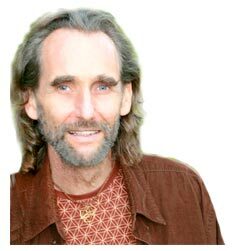 All my work is influenced by the awareness of Sacred Geometry that I have developed over decades of personal exploration, artistic creation, and by meeting and learning from some of the worlds most inspiring Sacred Geometry teachers. Sacred Geometry is not just about what people think of as geometry. It is about patterns of all kinds, the perception of them, and the nature and meaning of perception itself. Its called ‘sacred’ because it is profoundly interconnected with the source of existence itself. – a website to challenge your beliefs about the microcosm, the macrocosm, and the world we think we live in! 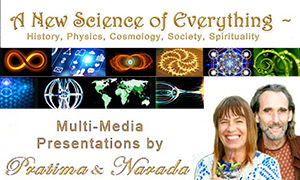 This site promotes the presentations we give, and collates vast quantities of information related to Nassim Haramein’s Fracto-Holographic Theory and the New Story of humanity’s past that has evolved over the last decades. A large percentage of the site is created by collating posts from our favourite Facebook pages. 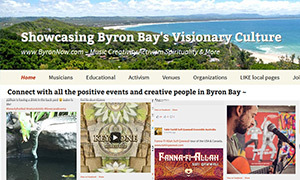 is a site that I set up for showcasing Byron Bay visionary culture, artists, and events. Music. It pulls in posts from the artists Facebook pages. The artists can easily control what posts are brought into the site. It makes what they are doing on Facebook more valuable as posts on ByronNow do not disappear into obscurity nearly as quickly. The site does not require participating visionaries to do anything other than continue to use their FB pages and groups. Based on the book ‘Return of the Bird Tribes’ by Ken Carey, this is the first website I ever made, and it is badly in need of updating, but still has some very good content. 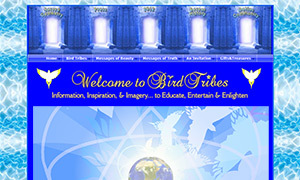 The Bird logo on the left came through as a symbol for the Bird Tribes flag of Peace and you can learn more about it on my main information site at BirdTribes.net. Like many of my designs it is available as a T-shirt. It came through with a song called ‘the White Bird Song’ which is the first track on my album ‘Jewels & Flames’ which you can listen to and order here. This poster positively emanates a golden glow into the room. Creating this artwork was a major initiation in my development as a Sacred Geometer. It taught me many things over the 700 hours of designing it, and it continued to reveal to me many more insights through ongoing contemplation of its structure. Among other things this mandala is a reference chart of correspondences between the classical 5 elements and the yoga sutras. The symbology is so rich that it can be continually unfolded. For instance: The solar angel sits in lotus position at the centre of the Earth/Sun. The Alchemical tree grows star apples at the center of the Earthly garden. The galactic dervish holds the fractal staff of DNA. In the face of the current intense Global Crisis (and to ignore this crisis is I feel an act of extreme unawareness bordering on schizophrenic denial), I feel obliged to share my knowledge and skills regarding sacred geometry in a way that will contribute to the global renaissance that is unfolding in spite of all the disasters that are looming. 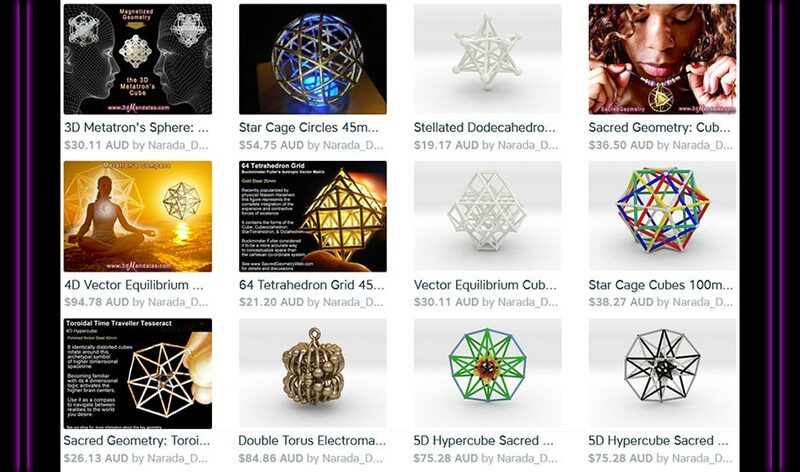 I have two books, and a huge range of sacred geometry 3D prints and clothing designs.